In the historical yoga period, the era in which the teachings were written down, the purpose of yoga remained the high desire for moksha, self-realization or enlightenment. The guru-chela, gurukula structure remained. The teachings were written down, but in a highly secretive, coded form and only those initiated to the teachings would be able to understand them. This period would be from 7000 years ago to about 1500 A.D. The VEDAS, UPANISHADS, Mahabharata, Ramayana, etc. recorded these teachings in written form. The transmission was still in the gurukula setting, in remote ashrams, in forests or on mountaintops. The guru-chela relationship remained a life-long, one to one bond. The aim of the teaching was spiritual and moral uplifting, with emphasis on following and fulfilling one’s dharma (duty and higher purpose in life), while living a pure, disciplined, simple and natural life. Within in this time frame, from 500 A.D. to 1500 A.D. many teachers rose who were mostly masters of jnana yoga (vedanta), bhakti yoga (devotion) and karma yoga (skilled worldly service to society). These yogic teachers started to concern themselves more with social needs as well. They organized large groups of seekers into sanghas (spiritual communities), and built powerful institutions, which came to be concerned with social reforms. The individualistic, highly spiritual aims of yoga metamorphosed into mass, collective movements, which, while retaining the high and noble aims of 'Union with Atman (God)', also sought to improve society. The period of 1500 A.D. to 1893 could be considered a slowly declining period in yoga’s history, as the lofty spiritual aims of yoga started to become more and more mundane. 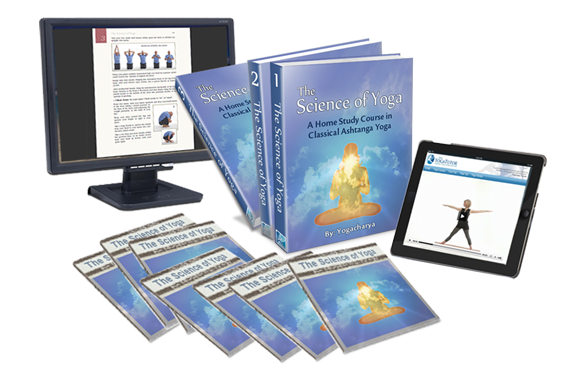 Even esoteric knowledge was written down and distributed without discretion, and the physical hatha yoga practices began to rise in popularity. An interest in developing a strong, flexible and durable body became one of the principal aims of yoga. A preoccupation with 'one's own spiritual elevation', fascination with siddhis (mystical powers), miracles and magic grew. Physical feats and prowess were highly valued. 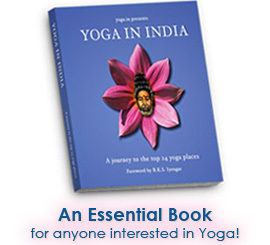 During this period, several texts such as the Hatha Yoga Pradipika, Gheranda Samhita, Goraksha Sataka and the Yoga Upanishads were written, making more concrete and organized the physical practices associated with yoga.